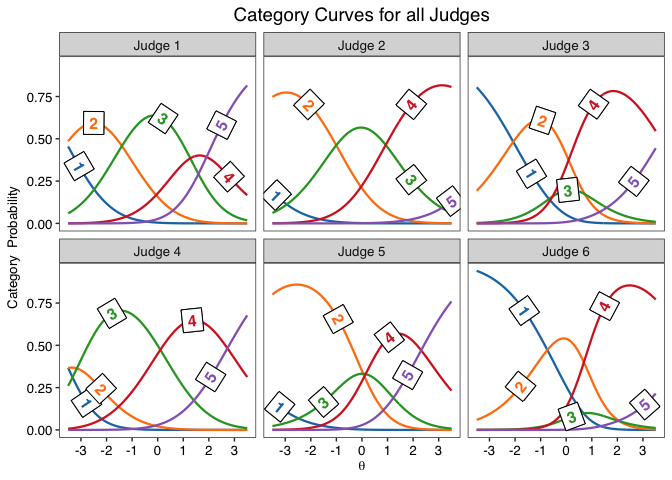 Psychometric analysis and scoring of judgment data using polytomous Item-Response Theory (IRT) models, as described in Myszkowski and Storme (2018) . 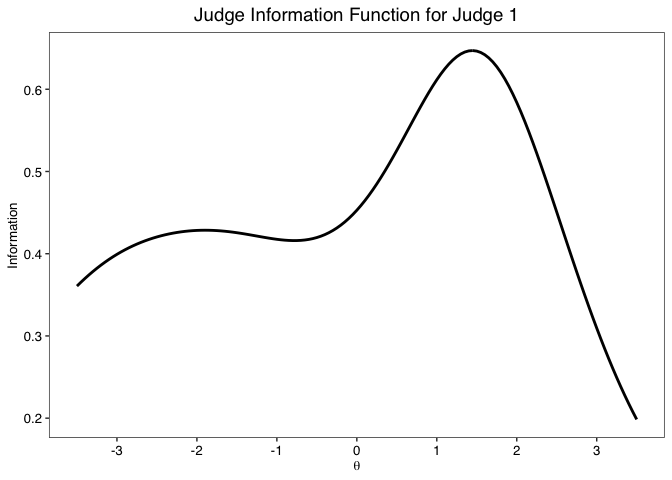 A convenience function is used to automatically compare and select models, as well as to present a variety of model-based statistics. 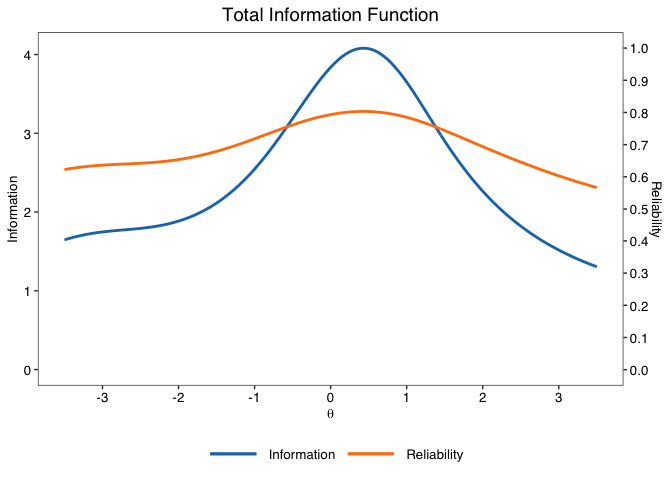 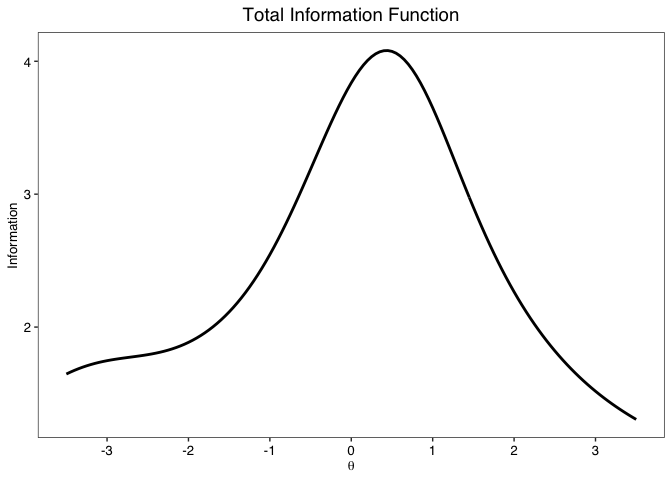 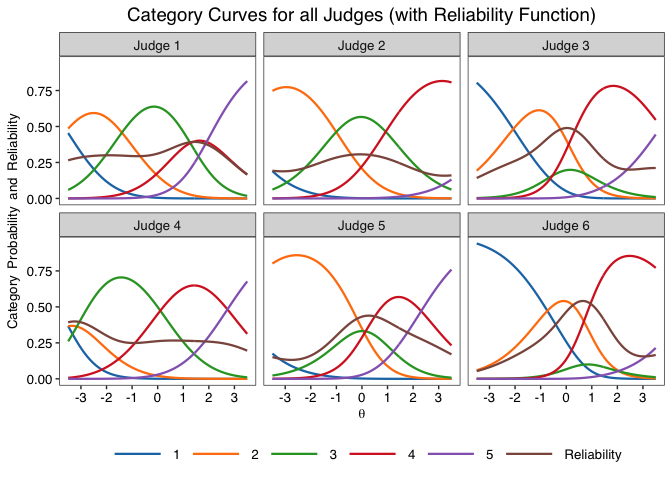 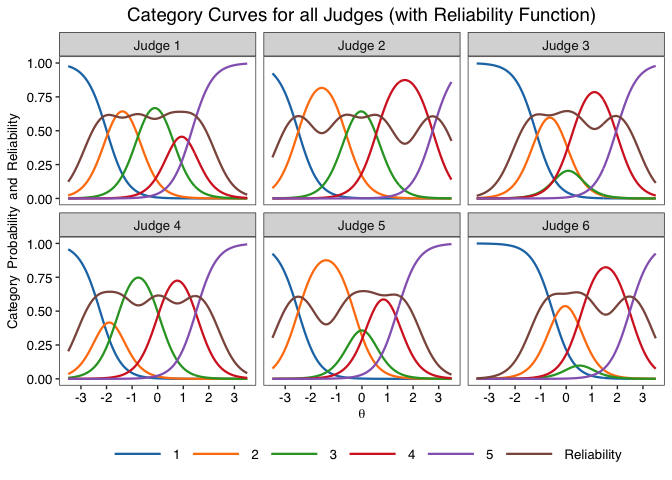 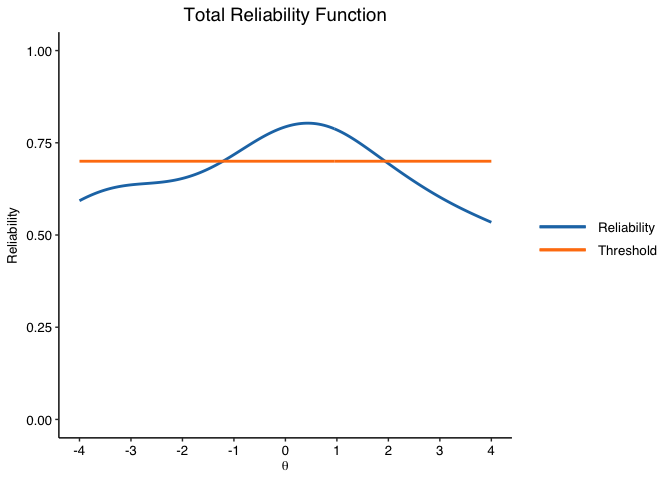 Plotting functions are used to present category curves, as well as information, reliability and standard error functions. 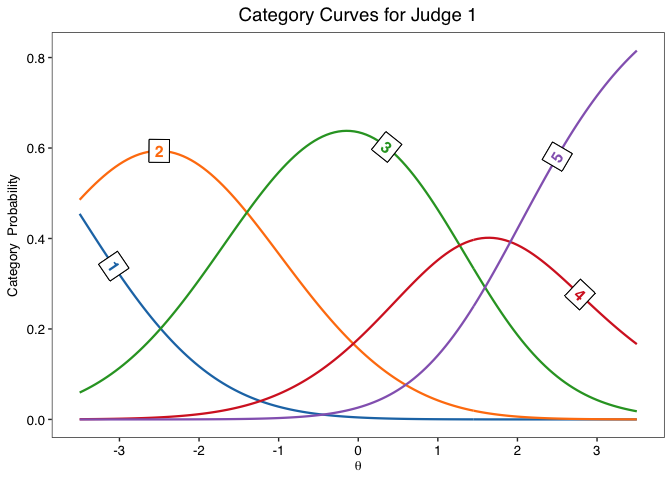 The goal of jrt is to provide tools to use Item-Response Theory (IRT) models on judgment data, especially in the context of the Consensual Assessment Technique. 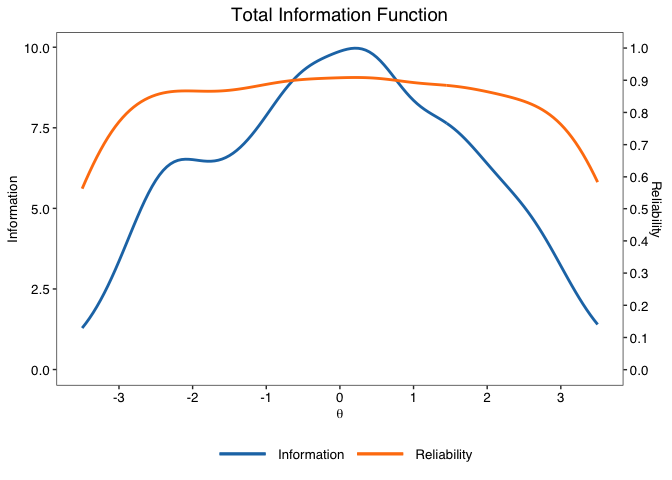 It is based on "mirt" (Chalmers, 2012) as its estimation engine. 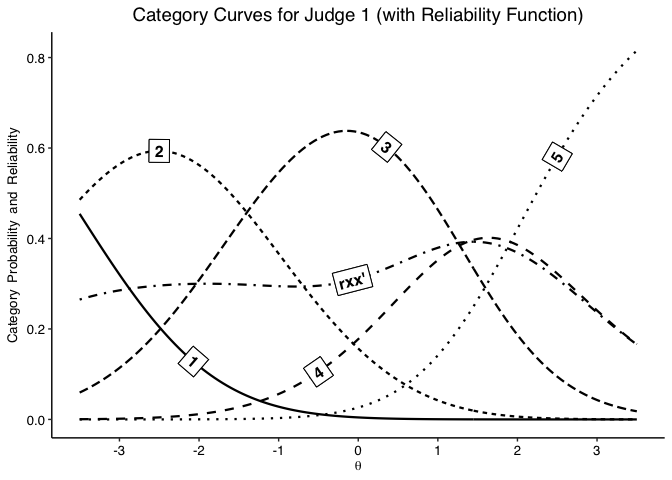 #>  -> The best fitting model is the Graded Response Model.